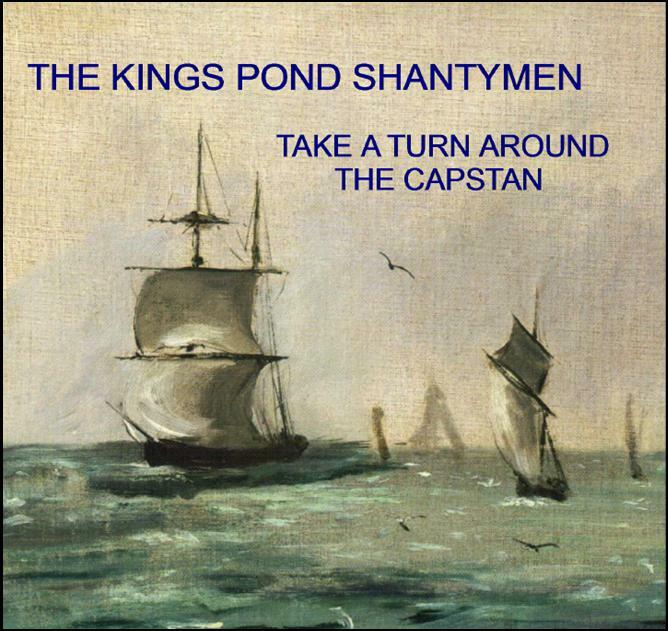 A varied collection of songs featuring the unique buoy band sound of the shantymen has at long last been pressed in a small quantity. 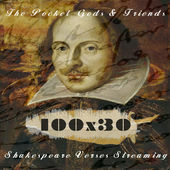 This CD is available for delivery across the seven seas so buy it while stocks last! You can also stop a passing Kings Pond Shantyman of your acquaintance and press a crisp tenner in to his palm in exchange for this precious collectors' item. 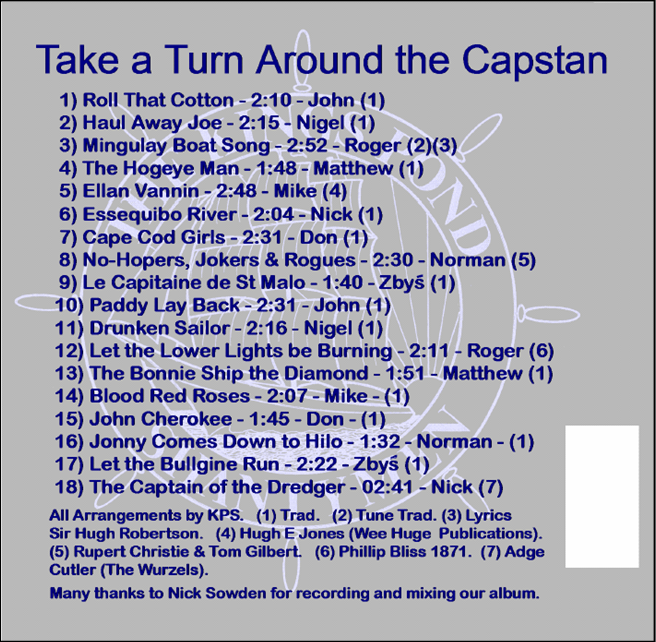 Alternatively please contact The Cap'n if you wish to order this CD by email or phone.